CalgarySoca turns 6 at RED 2017! CalgarySoca's annual birthday celebration returns on Saturday April 22nd to Local 522. 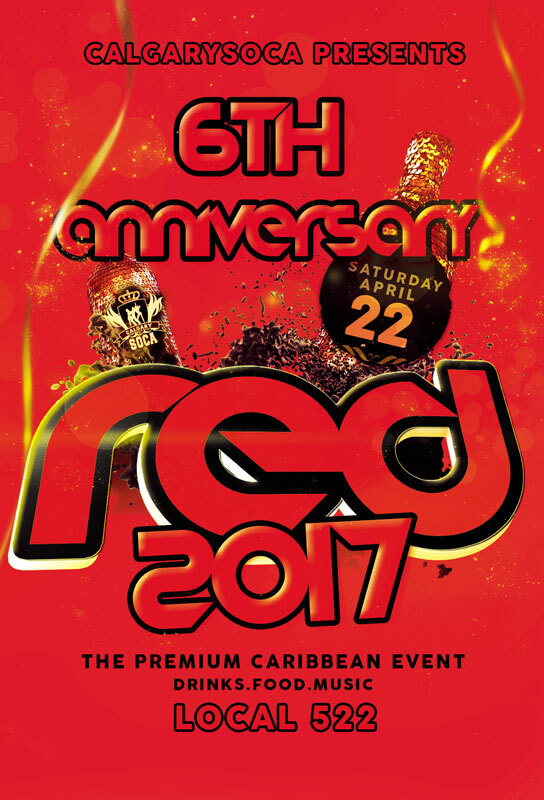 COME DRESSED IN RED and enjoy a night of Soca and Reggae music alongside the entire CalgarySoca team. Music by Drew Atlas, DJ Majesti, Sherman Hype and DJ DAT. Regular tickets $25. As a huge 'thank you' to all our supporters on our 6th anniversary, the Early Bird tickets were COMPLIMENTARY TICKETS! Don't miss out on the balance of the regular priced tickets available while they last!